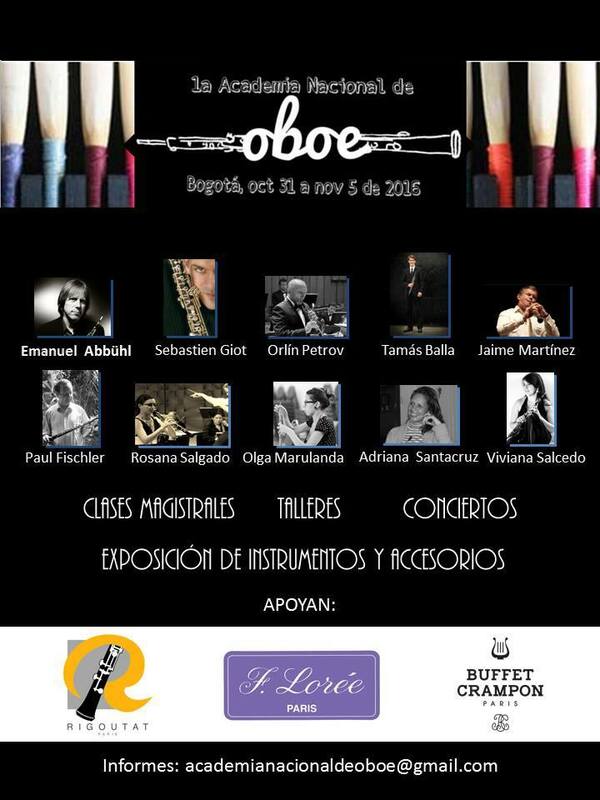 Six eventful days of masterclasses, concerts, exhibition of instruments & accessories and workshops. Especially, Mr. Jaime Martinez (1st Oboe of the Medellin Philharmonic Orchestra) and Mr. Tamas Balla (1st Oboe of the Colombia National Symphonic Orchestra) will be giving concerts and masterclasses. We will welcome you from November 3 - 5, 2016 to try our range of instruments. We will also be happy to check and adjust your instrument if you wish.